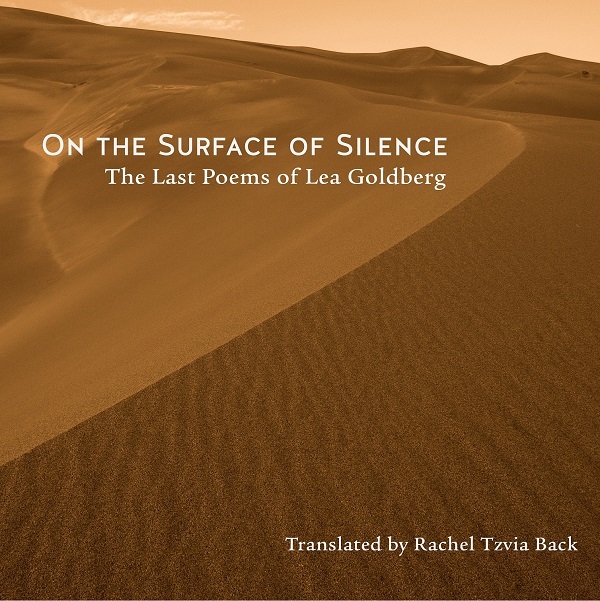 On the Surface of Silence offers for the first time in English the final poems of Lea Goldberg, pre-eminent and central poet of modern Hebrew poetry. On the Surface of Silence offers for the first time in English the final poems of Lea Goldberg, pre-eminent and central poet of modern Hebrew poetry. These extraordinary texts, composed in the last years and even last days of the poet’s life and published posthumously after her untimely death, exhibit a level of lyrical distillation and formal boldness that mark them as distinctive in the poet’s oeuvre. Often employing a fragment-like structure, where the unspoken is as present and forceful as the spoken, stripped of adornments and engaging the reader with an uncompromising, even disarming, directness, Goldberg’s last poems enact and manifest a poetics of intrepid truth-telling. The play between revelation and concealment, the language precision and the unflinching end-of-life gaze transform these texts into powerfully moving, and often surprising, poems. The book itself, in the original format as masterfully edited by Tuvia Ruebner and with drawings by Goldberg herself interspersed among the poems, is a significant and beautiful artifact of modern Hebrew culture. This bilingual edition, with translations by award-winning translator Rachel Tzvia Back, brings us poems from a singular poetic voice of the 20th century – poems which will enrich, reflect, and stir the reader’s heart. Award-winning author, translator, literary critic, and poet, Lea Goldberg served as the head of Hebrew University’s Department of Comparative Literature.Rachel Tzvia Back is a poet, translator, and lecturer in literature.